With a Swiss father and a Xhosa mother one would think that life had gotten about as unpredictable as it could for a young man from Soweto. Add a dash of stand up comedy to the mix and a pinch of tours across South Africa and the rest of the world and the result? Trevor Noah of course! He began his career at 18 years of age with a minor role on soap opera Isidingo. He also hosted his own radio show on the popular South African youth station YFM. However after that and other ventures on TV he then moved on to what he was most passionate about and that was comedy. Trevor Noah made people across the African continent begin to stand up and take notice of a stand-up comic on a scale that was arguably previously unheard of. His shows, “The Day walker” and “Crazy Normal” as well as the subsequent DVD releases of them proved very popular. Trevor Noah truly is changing the perception the world has of Africa through his comedy. He is also opening doors for other young aspiring African comedians and bridging the gap between them and the rest of the world.So knock knock. Want to know who’s there? 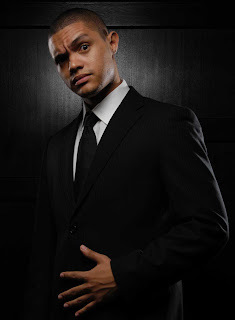 It’s Trevor Noah Africa’s stand-up Superman!